Share the post "Album review: WHITESNAKE- The Purple Album"
When news came out earlier this year that the new Whitesnake project that had been kept under wraps was to comprise re-recordings of Mark 3 and 4 Deep Purple songs I had mixed feelings, to put it kindly. That era of Deep Purple, fronted by David Coverdale with Glenn Hughes, is my favourite and before Jon Lord’s sad death, the admittedly remote chances of a reunion were right at the top of my bucket list. Yet anyone who has seen Whitesnake in recent years will know that while a marvellous frontman, the great man’s voice is a touch croakier than in his heyday. I was worried that a set of songs very much of their time might be spoiled when they should be left well alone. In addition the whole new generation of fans who joined them from their big haired eighties years onwards might be disappointed, and see an album that retreads a bunch of songs from the mid-seventies as a retrograde step after two fine albums of more contemporary material in recent years. On the other hand David’s inlay card notes rightly point out that these are great songs that deserve a wider airing, particularly as that era of Purple’s history has been air brushed from the current Ian Gillan-led Purple line-up. Incidentally these are a model of how the dying art of sleeve notes can further enhance an album, explaining the context in which it was made including an aborted attempt to collaborate with Richie Blackmore on re-recording material. 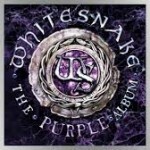 The album is bookended by arguably the best known Mark 3 songs in the two title tracks ‘Burn’ and ‘Stormbringer’, yet these are probably the least interesting of the remakes, having already been played live by modern day Whitesnake and coming over as rather bludgeoning with DC’s roar a touch tired, even though the former has some great organ work from guest player Derek Hilland. Introduced by a harmonica solo from bassist Michael Devin, ‘You Fool No One’ is the first example where new life is breathed into classic songs rearranged and given a sharper more modern production. It has an epic feel combining some ‘Immigrant Song’ type riffing with an epic feel almost of early period Rainbow. The riffs and aggressive solos of the guitar duo of Reb Beach and new transfer from Night Ranger Joel Hoekstra give the rockier songs like ‘Love Child’ and ‘Lady Double Dealer’ a fresher feel, while Reb’s solo on Gypsy can only be described as dramatic. Some of the songs have been ‘Whitesnakeised’ to some degree, with a new down and dirty slide guitar intro to ‘Might Just Take Your Life’ a case in point. The best results for me are the more adventurous reinterpretations. ‘Sail Away’ has a new acoustic guitar intro and a stripped back feel throughout and ‘Holy Man’, originally sung by Glenn Hughes of course, has something of a southern rock vibe. Both arrangements bring out David’s finest vocal performances in years. Of the other slower songs, ‘Mistreated’, though vocally a bit harsh at times, has an epic feel while ‘Soldier of Fortune’ is another triumph. It has been a live staple for years but on this version the way it is sung by a 63 year old, allied to some sensitive Spanish guitar from Joel, brings out the world weariness of the song all the more effectively. More than once it is a pleasure to clearly pick out lyrics that were a bit muddled on the originals and to be reminded what superb songs they are. It is true that some of the subtleties have been lost, particularly with the keyboards relegated to a lower profile role that in dear old Jon’s time, but given a more contemporary makeover, on occasions the results are stunning. This entry was posted in ALBUM REVIEWS, ALBUM REVIEWS (Mobile), All Posts and tagged blues rock, classic rock, David Coverdale, Deep Purple, Frontiers Records, Joel Hoekstra, Michael Devin, Reb Beach, Whitesnake. Bookmark the permalink.